A convenience store in Northampton town centre could be banned from selling alcohol after it breached the terms of trading licence by selling a bottle of wine to a customer before 10am. A licence review hearing will take place at the Guildhall next Thursday to decide what sanctions should be taken against the Costcutter store in Wellingborough Road. 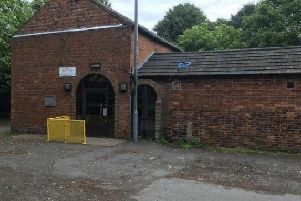 A report due to be discussed by councillors at the hearing, states a licensing officer from Northampton Borough Council visited the shop at 9.15am on Thursday, May 28, and purchased a bottle of red Echo Falls wine. The purchase was in breach of the store’s alcohol premises licence which only allows it to sell alcohol between the hours of 10am and 11pm. These conditions were imposed following a licensing hearing in October 2014 which heard alcohol had been sold to underage test purchasers on two occasions. The report states that the man who sold the wine to the licensing officer told her: “I am not allowed to sell this at this time and you should hide it when you leave”. The till receipt also recorded the purchase as stationary and hardware. The report states: “Northamptonshire Police is extremely concerned about the lack of adherence to licensing conditions that were imposed by this committee as a result of persistent underage sales as well as anti-social behaviour that was linked to the early morning sale and consumption of alcohol linked to the premises. The police have asked for the licensing committee to give “serious consideration” to a suspension or revocation of the premises licence. The licensing hearing will take place on Thursday, October 29, at 10am.